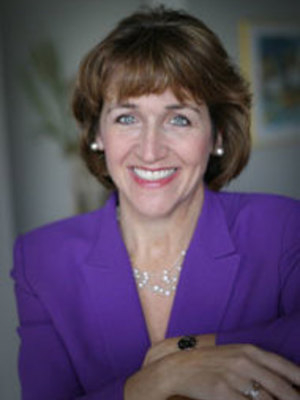 Dr. Liz Berney, is a consultant, trainer, public speaker and coach for clients including: Bill & Melinda Gates Foundation, Coca Cola, Tropicana, Baldrige Quality Program, AT & T, Fannie Mae, American Red Cross, Quaker Oats, Cisco, Human Rights First, National Public Radio, Dun and Bradstreet, John F. Kennedy Center, Marriott Corp, MCI, U.S. Environmental Protection Agency, U.S. Capitol, U.S. Departments of: Health and Human Services (Centers for Disease Control, National Institutes of Health), Education, Veteran Affairs, Treasury, Homeland Security among many others. 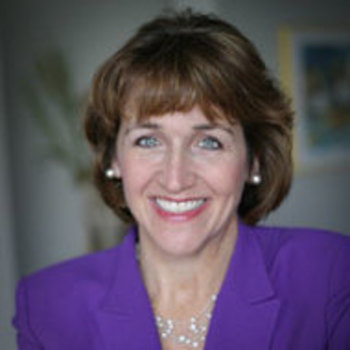 Liz currently teaches as an Adjunct Professor for Executive Programs for the University of Pennsylvania's Wharton School and for the University of Maryland's Robert H. Smith School of Business where she also teaches for their online MBA Program. She is also an Assistant Professor in Leadership for Jack Welch Management Institute's online Executive MBA and for Georgetown University's Executive MBA. She is a former Instructor for the American Management Association, the Accelerated MBA Program at George Washington University, Georgetown and George Mason Universities. She founded, designed and directed the Organization Development Certificate Program at Georgetown University. Her Bachelor's Degree is in Psychology from Yale University with honors) and her M.A. and Ph.D. are in Industrial/Organizational Psychology from the University of Maryland where she won the Teaching Excellence Award for her teaching. She was a Professor of Industrial/Organizational Psychology at George Mason University. Recent articles include "The Co-Creation of Conflict" in Yes You Can! : Reaching Your Potential While Achieving Greatness, the American Psychological Association's Monitor, Washington Woman, the Medical Office Manager, the Society of Actuaries Stepping Stone and the Law Office Administrator. Most recently, she was awarded Speaker Platforms' Top 25 Speakers for 2016. She was awarded Top 5 Speaker on Teams (along with Stephen Covey) from Speakers Platform in 2012 the Small Business Excellence Award from the SBIEC in 2013.